Yesterday was the Fourth of July. Which aside from meaning that today is the fifth of July, means that yesterday was a day set aside to celebrate America’s independence from the occupying British forces. That independence from British rule established principles regarding life, liberty and the pursuit of happiness. As part of my pursuit of happiness this year I took part in a trio of All-American festivities. At the time I woke up I was only planning to partake in one American tradition but as the day wore on I soon added a pair more to my original plan. For nearly a century people have been eating Nathan’s Hot Dogs on the Fourth of July. Of course some people end up eating way more than others. The first tradition I took part in was eating a Nathan’s hot dog on the fourth of July. For about a century now Coney Island, New York has hosted the Nathan’s Famous July Fourth International Hot Dog Eating Championship. 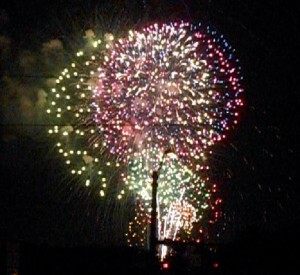 And while competitors come from nations all over the world the item remains All-American in that it occurs on July 4th. This year, Joey “Jaws” Chestnut ate 69 hot dogs in 10 minutes to win another title. To honor this achievement of man concurring frankfurter I decide to stage my own hot dog eating on the Fourth of July. 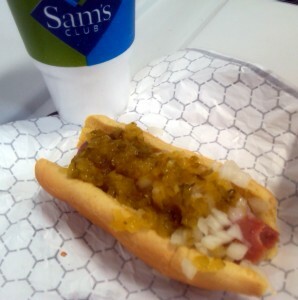 While I did not eat anywhere near 69 hot dogs I did venture to my local Sam’s Club to get an authentic Nathan’s hot dog. In hindsight I should have worn my Nathan’s hot dog contest shirt to the Sam’s Club but that would have required a wardrobe change before adding to the next item on my list of All-American activities. Nathan’s was one of the brands I grew up with on the east coast and they are hard to find here in Texas. Don’t get me wrong there are some very nice hot dog choices here but to me a hot dog on July 4th has to be a Nathan’s hot dog. I am sure there are people that feel the same way about whichever hot dog they grew up with as well. With my hot dog properly washed down with a Cherry Coke it was time to move onto what would become the second side of my freedom celebrating pursuit of happiness triangle. The second side of the triangle was of course an afternoon baseball game between the Houston Astros and the Tampa Bay Rays. It does not get much better than being in a ballpark on July 4th. 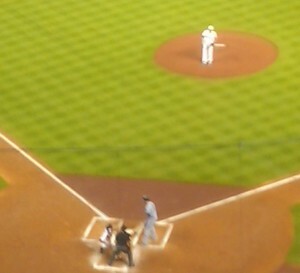 I had attended the Wednesday night game but considering the Rays do not visit Houston often I felt it was justified to see them two days in a row. Plus, there is just something special about watching a game on July Fourth as part of the American tradition. The Astros typically honor soldiers at each home game and yesterday was no different. But getting to show support for soldiers on the day that we honor America had a little extra significance. Getting to see an extra inning marathon game was just an added bonus. As mentioned before I typically root for both the Astros and the Rays. Since I have followed the Rays longer than the Astros I proudly wore my Rays gear and cheered them on to victory yesterday. 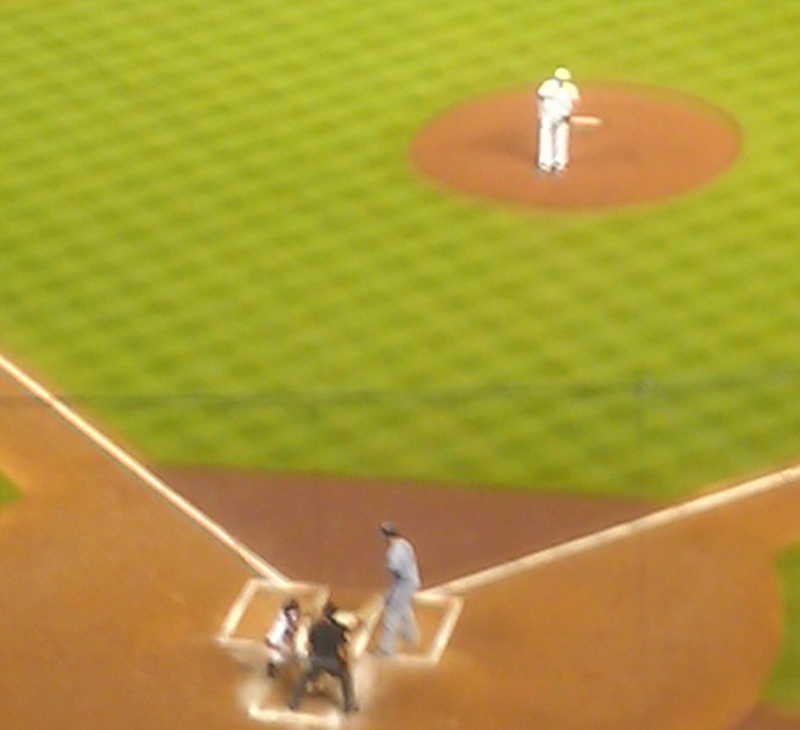 During Wednesday’s game the Astros won so in a way one of my teams won both nights. After coming home from the game I had every intention of staying home the rest of the night and watching the celebration and fireworks from the Nation’s Capitol. If you have never caught the broadcast on the local PBS station I highly recommended it. The third leg of the All-American triangle included fireworks, lots and lots of fireworks. Broadcasting from the steps of the Capitol the Capitol Fourth show features music and fireworks. This year’s performers included Neil Diamond, Barry Manilow and John Williams. Each is an American icon in their own right and seeing them in the same 90 minute broadcast was certainly a treat. 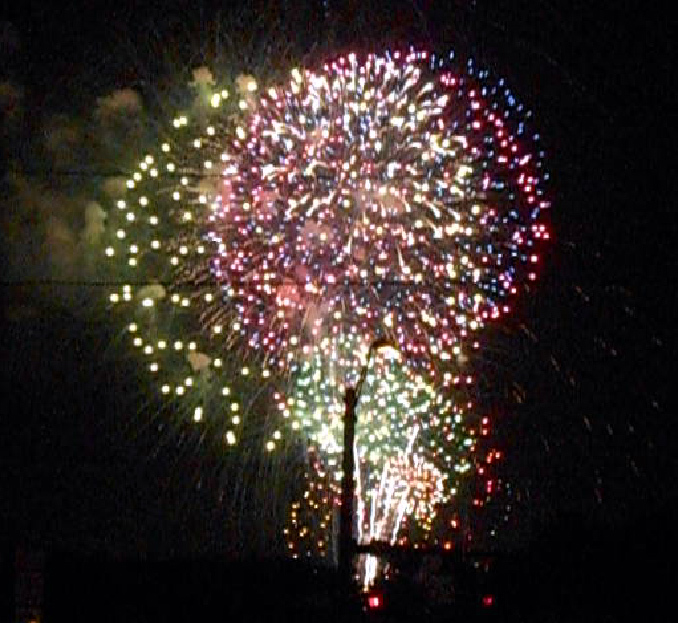 But a funny thing happened as I was watching the televised fireworks from Washington D.C. About midway through it occurred to me that fireworks would be going off about three miles from my house in about an hour. Now there had been signs on the road for weeks warning people to stay away from the area where the fireworks would be held due to the crazy amount of traffic that was expected. 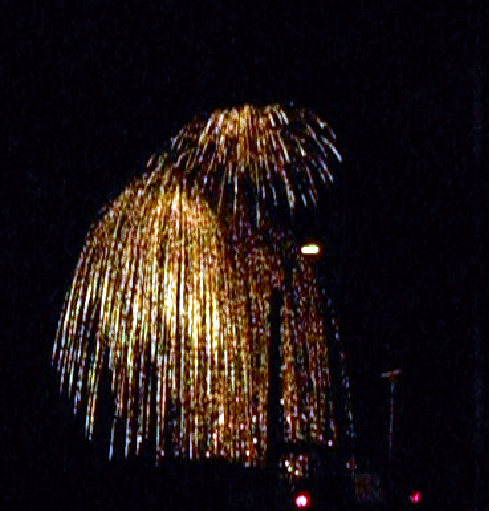 But I figured I knew a back way to get there and could avoid the traffic while still catching the live fireworks that Neil Diamond and Barry Manilow’s patriotic numbers inspired me to want to see. But, someone on the Fourth of July there is no shame in the men behind Sweet Caroline and Mandy providing a patriotic bit of encouragement to get off the couch and go see some fireworks. So hyped up on feelings of patriotism I piled into my car and made the three mile trek to a Walmart parking lot that would allow me to see the show and in theory quickly escape the traffic in the same way upon the completion of the show. There were no issues getting there but the escape from the Walmart took a little longer than I anticipated. 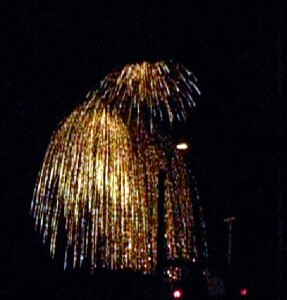 And you guessed it, more fireworks. With my July Fourth triangle of All-American activities was completed it was time to go home. I suppose I could have gone inside the Walmart and purchased an apple pie to turn the All-American triangle into an All-American square but I went home and had a V8 and some carrots instead. Perhaps next year I will add a pastry component to the celebration or maybe even add a second hot dog. Who knows what the celebration will entail. After all I have an entire year to plan it. I do know that it will likely include a baseball game if at all possible. 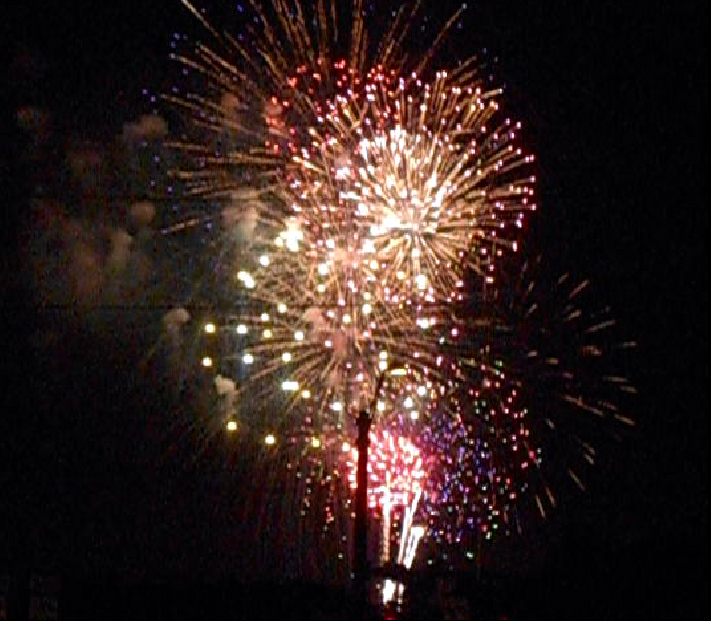 While the day game this year did not allow for post-game fireworks the on field action was certainly explosive. Now if you’ll excuse me I have a strange urge to listen to Copacabana for some reason.